Ablation and embolization are treatments most commonly used for pancreatic neuroendocrine tumors (PNETs). These types of tumors represent less than five percent of all pancreatic cancers and so ablation and embolization are used less often than other treatments. Ablation destroys tumors with either extreme heat or extreme cold. 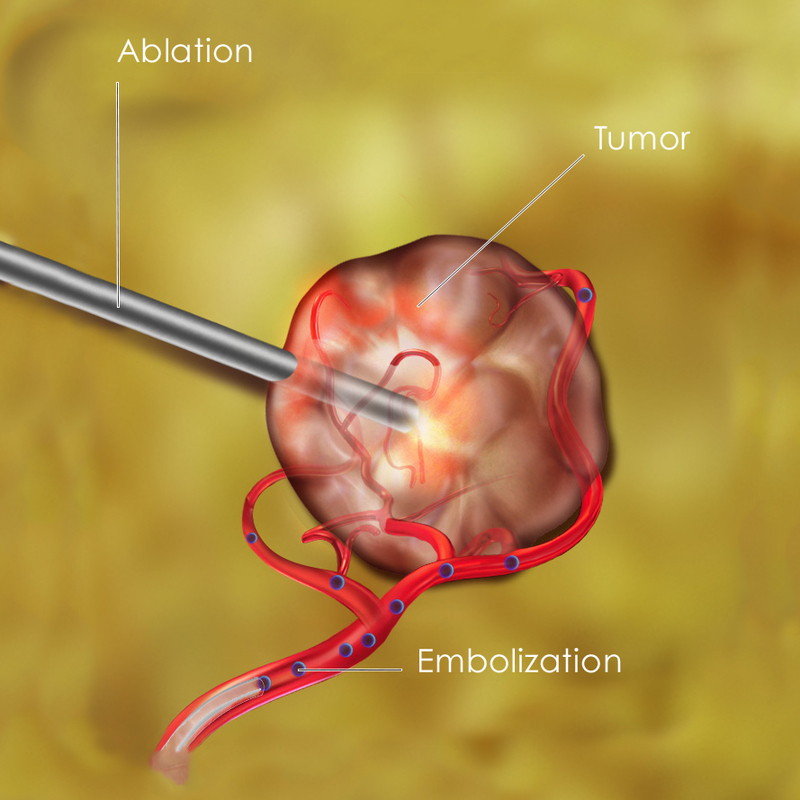 Embolization kills tumors by blocking blood flow to the cancer cells. Neither treatment removes tumors from the body. Get more information about ablation and embolization, various types, and possible side effectsThis link is to a third-party website.